Have you ever passed by the street and see a man meticulously grooming a tree? You might be wondering why someone would care to do so. Trees grow back their leaves and branches anyway. But little did you know, trees need caring too. It can be for the benefit of the tree or those people around it. In jostling cities, tree trimming Las Vegas is almost a necessity for every property owner as trees are bound to be trimmed at a certain point so that they would not cause inconvenience. On another note, people have a pile of reasons on why they look for such service. It is hard to avoid making your surroundings as attractive as it can be. And trees take a big part from it! It can either harm or boost the pleasantness of your area. Trimming makes your tree look appealing to the eye. It is as if they were spreading the freshness that they got after a transformation of eliminating those overgrown branches or those leaves. These lush and gigantic living things may look independent at first glance. However, they are also in need of extra care- like humans. When branches start to grow way too long, it can look dull due to the withered parts as it starts to decay. This can even spread throughout the tree, as well as attracting insects that will leverage the damage to the tree. But if you trim your trees regularly, or before it gets too late, you will be pleased with the usual refreshing vibe that the trees give off. It might be a small thing that we fail to notice in our daily routines, but trees actually pose some risks and hazards to the people around, just like those children who love playing around the tree and might think of climbing it or hanging a swing- which is perilous, especially on decaying parts of the tree. Not only that, it actually damages nearby properties. Overgrown branches or roots may break your windows, roofs, or the ground where it is erected. For these reasons, trimming the trees in a proper procedure is extremely helpful in all sides. It is always better to have someone to help you address those problems. If you choose to hire a group of experts, this task will be an easy one to accomplish. 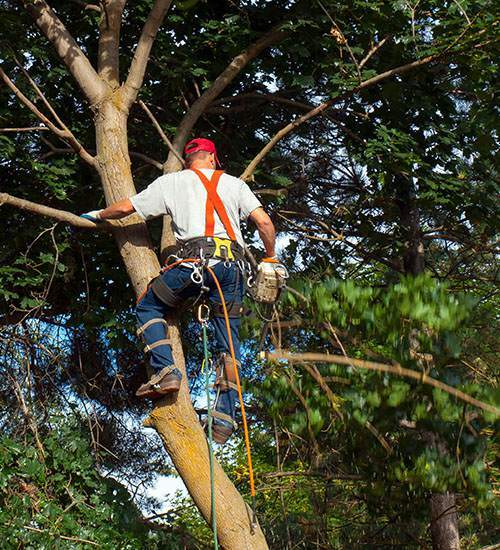 We are always lending our helping hand when it comes to tree care. If you need a service in tree trimming, contact us by phone at 702 – 825 – 7270, or send an e-mail to trees@lasvegastreeremovalpros.com.